Christmas Time the Holiday of Lights. Yes, the season to be Jolly is also the season of bright colored lights and flickering candles. What is better than to have those flickering candles to be also scented. We have some awesome scents for this time of the season. 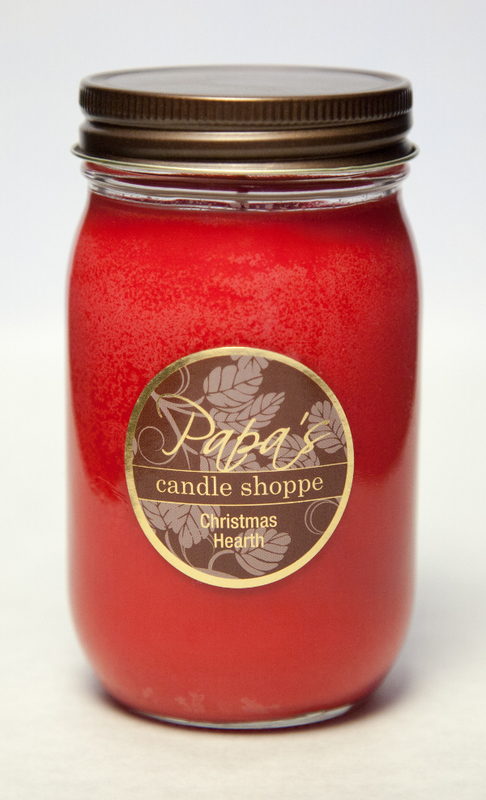 Some of our favorites are a mixture of both old and new ones here at Papa’s Candle Shoppe. One of our new scents is Frankincense and Myrrh; this one is very sweet, and more perfume scented. 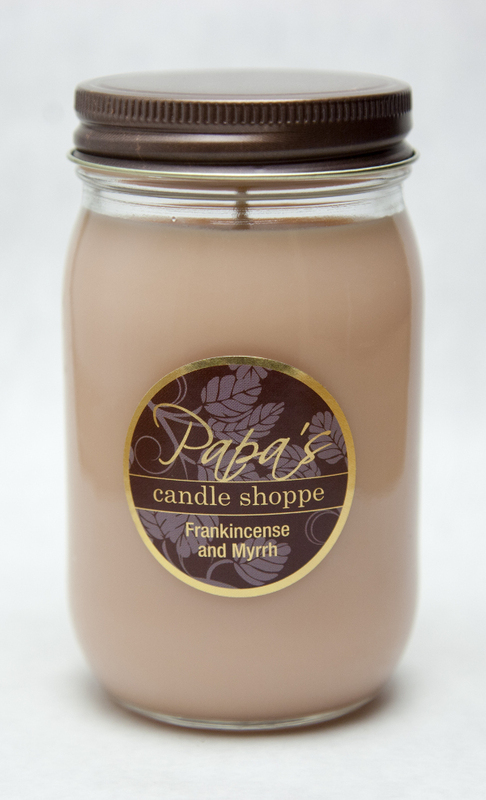 A very calming fragrance of frankincense with a mixture of myrrh. Very light and airy. This scent has quickly become a favorite of our customers. It is surprising how fast these are flying off the shelf. Our Christmas Tree scent is an aroma that we have carried for a few years now. This soy candle captures the magic of Christmas morning all season long with a delightful pine aroma and sweet undertones. Chris from Taylorsville, UT says Awesome! I wanted a Christmas tree smell, and this is beyond what I imagined! Memories of a Christmas past is what this scent brings to mind. Nights in front of the fireplace snuggled up with the one you love. Smelling the fragrance of fir and pine with earthy smokiness all packed in this soy candle. 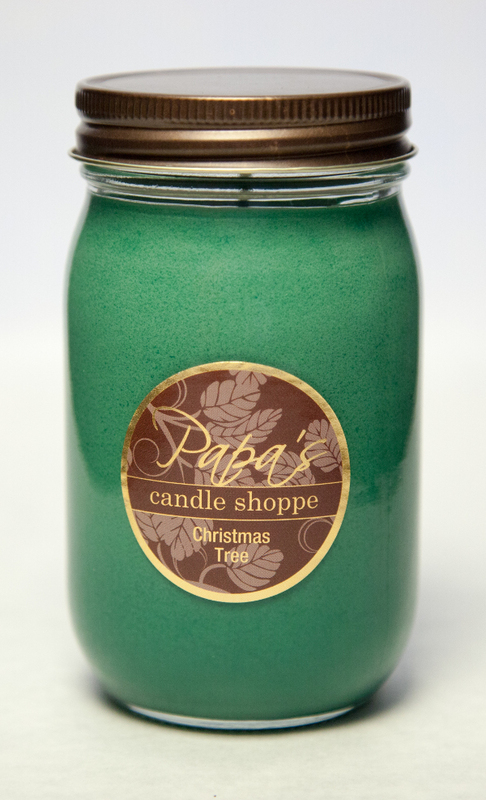 It is no wonder that we sell a lot of these great candles this time of the year. So as you enjoy the flickering lights and the fantastic aromas of Papa’s Candle Shoppe candles this season, let’s remember our family and friends but most of all the reason for this season, Our Lord, and Savior Jesus Christ.